Welcome back to my tutorial series on How to Start a Blog where I walk you step by step through the process of setting up and launching your blog. 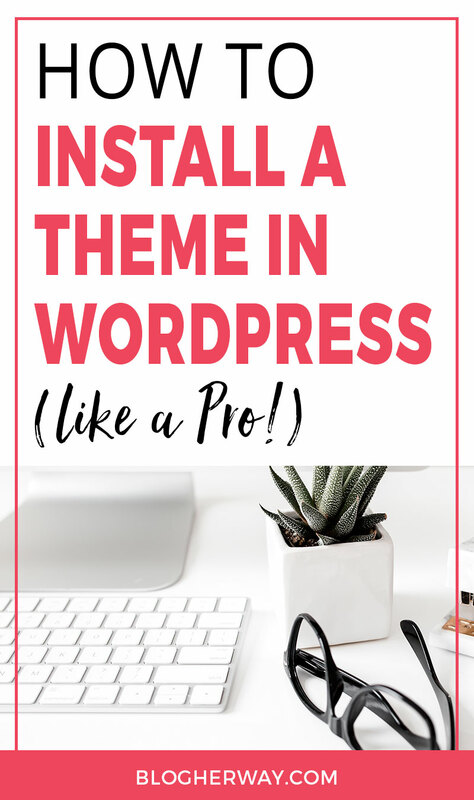 Today I am going to teach you how to install a theme in WordPress. If you haven’t started your blog yet then check out the full series on How to Start a Blog. Don’t forget to download the companion checklist with 100+ guided steps to start your blog. 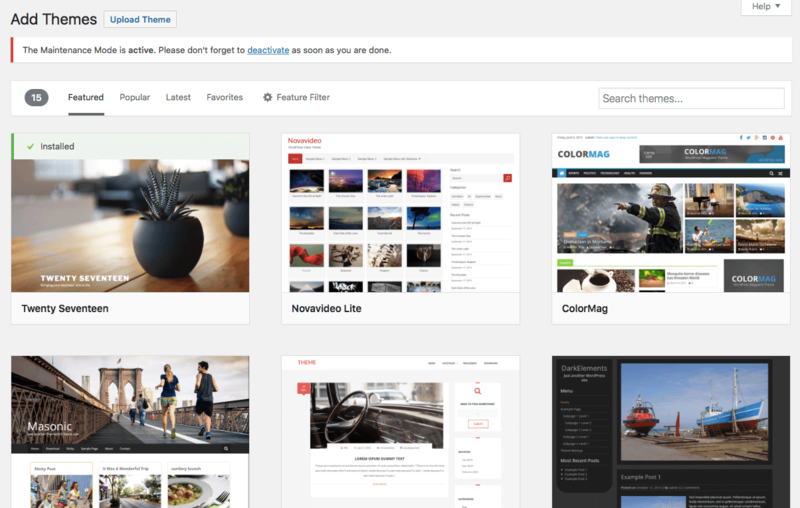 A WordPress theme modifies the way a website is displayed. WordPress is the underlying software of a website and the theme works in conjunction with WordPress and consists of a collection of files that dictate the overall design and function from the front end or user perspective. When choosing a WordPress theme the first thing you want to think about is what is the number 1 objective you want your reader to take when they come to your website? Purchase a product – ebook, online course, physical product? Considering your top objective it can help steer you in the right direction when deciding on what elements you want in a theme. Sometimes when choosing a theme it can be hard to look past the demo content. Have you ever been house hunting and walk through a house where you just can’t seem to look past the superficial paint and flooring and fail to appreciate the bones and function of the house? The themes structure is what you want to pay attention to because the overall presentation can be easily customized to fit your brand’s color and styling. What features do you want in a theme? Layout: When you look at the home page of a website the main sections you see are the header, widget areas, sidebar and the footer area. The header section usually consists of the logo and main navigation menu. Widget areas are defined areas where you can feature important items like your services and products. An example of a commonly used widget is a slider. A slider involves changing the image after a finite time to showcase different elements of your business. The sidebar and footer areas often have additional menu options or call to actions. Make sure you pay attention to each of these areas to see if it fits your needs. Customizable: When choosing a theme you want to pay attention to how easy it will be to customize it to your brand. This is usually where free themes are restrictive and have limited customization options. Theme support: This is especially important when purchasing a premium theme. Many times a theme comes with “some assembly required” and it will take some set up to get your website to look and function like the demo site. When purchasing a theme make sure it comes with good documentation on set up and find out if the company offers any ongoing support if you run into any issues. 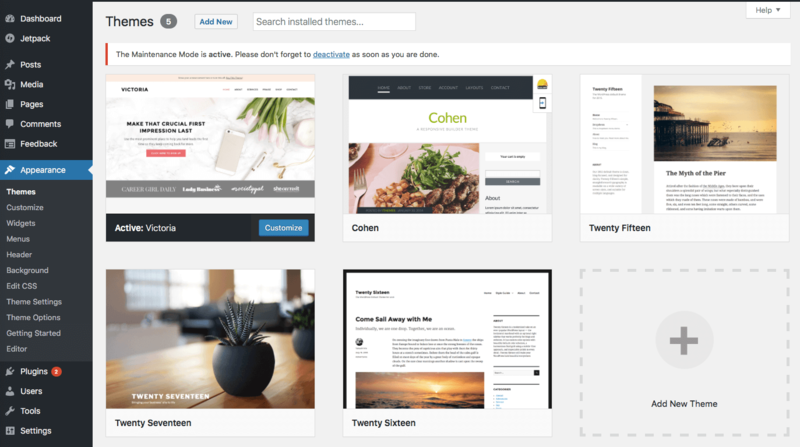 Where can you buy a premium WordPress theme? 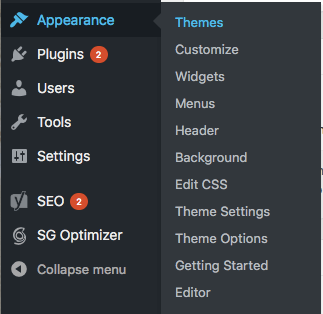 Login to your WordPress dashboard and go to the left hand menu and hover over appearance and click on themes from the sub menu. Since themes is first in the Appearance sub menu you can also directly click on appearance and it will lead you to the same place. 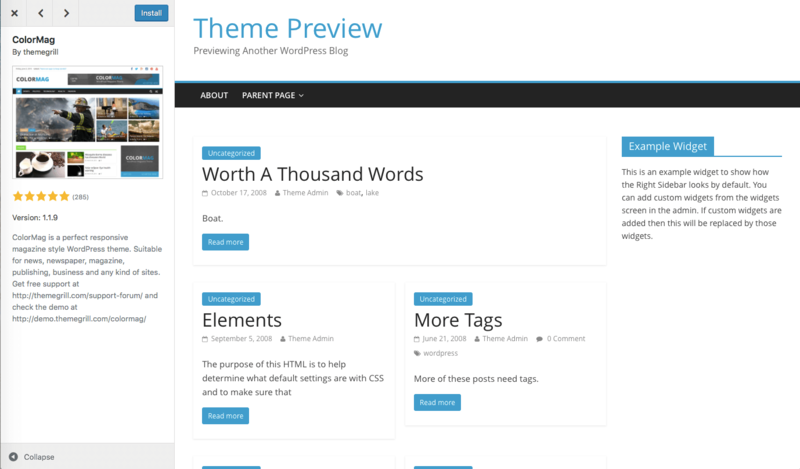 WordPress is packaged with a couple of themes that you can use in the beginning. Up at the top you can click on Add New or click on the Add New Theme button down below. Once you have clicked on Add New you now have the option to Upload a Theme directly or search for a theme. Again I personally use the Victoria theme from Bluchic. They offer great versatile feminine themes. Note: although they brand themselves as feminine themes anyone can use these themes and they can just as easily be turned masculine, gender neutral or whatever you want. When searching for a theme do not let the packaged look fool you. Pay attention to the overall layout and if the theme has certain elements that you are looking for. When you hover over a theme there are three options. When you click on Details & Preview you will be given a new screen. On the left hand side will be the details of the theme and on the right you will see a preview of that theme. 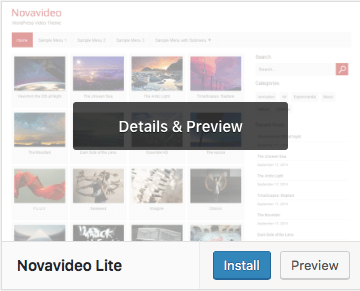 In the upper left hand you can click right or left to toggle to the next theme to preview. Clicking this option will send you to the exact same preview menu as you saw with option #1. 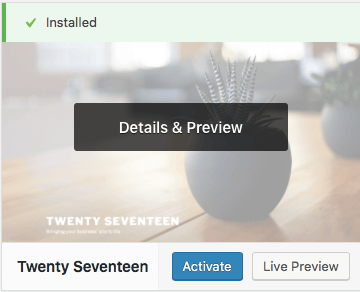 Once you click on install it will take a few moments and then it will give you the green check to state it is installed and will now have the option of clicking activate or live preview. Live preview is a little different than preview. On the left hand side instead of just giving the basic details it now provides the menu that you can use to customize your website. At the upper left you can choose to Save & Activate this theme for your website. 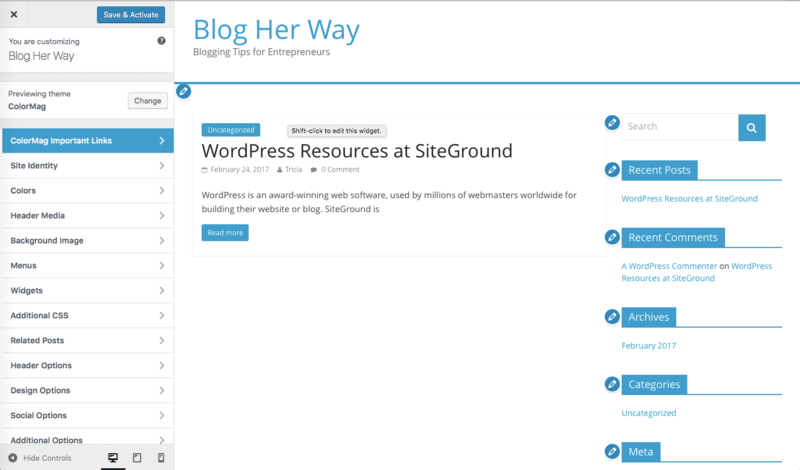 Having a good theme is essential for the success of your blog! 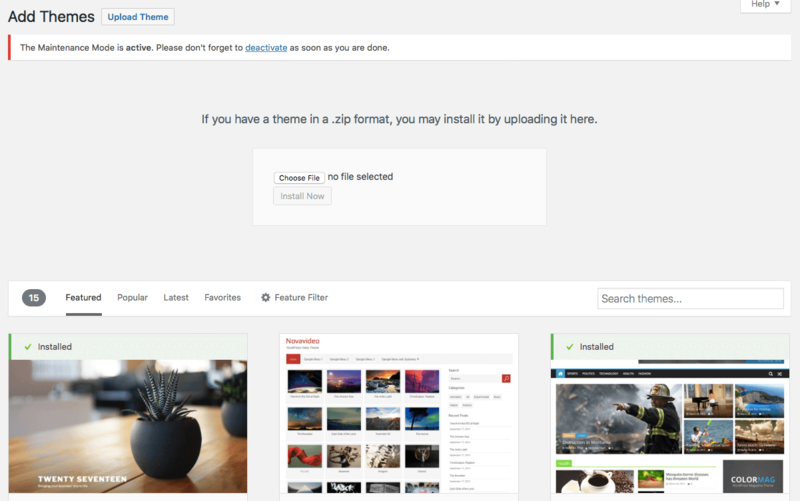 Click on Upload theme near the top of the themes page. After clicking you will then be given the option to choose a file. Click Choose file and you will be directed to your computers file directory and you will want to choose the .zip file of your theme. Once it has been installed you have the option for Live Preview, Activate, and Return to the Themes page. After installing and activating your theme you may be tempted to just jump right in and customize your theme. Before diving too deep into customizing your theme it is a good idea to install the necessary plugins to help with the overall speed and security of your website. Check out my tutorial on how to install a plugin where I make a recommendation on the 6 must have plugins for your website. Don’t forget to download my How to Start A Blog companion checklist, which consists of 100+ guided steps on how to start your blog. Learn How To Start Your Blog today!